Panda3D is a 3D-app-development platform. 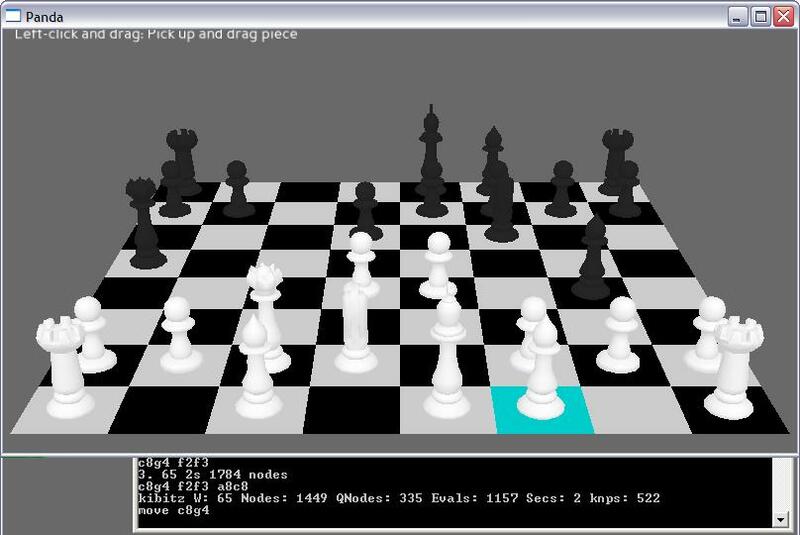 There is a chessboard sample (can drag and move pieces) in the hello-world python samples for developers. After long days of hardworking, as result, this modified version uses chess logic and OliThink chess engine port to python.